According to my Garmin, it's been four years since I logged my first regular run. Six months earlier, in November 2010, I had completed a 5 km race, but I found running so unbearable that I retired my running shoes directly after. But in May 2011, I gave it another go, and it stuck. Looking through my Garmin statistics, it would be fair to say that I've been a pretty regular runner ever since. Statistically, I've run an average of 1,8 times a week, each run averaging about 4,8 miles (7,8 km). Only three times, have I gone more than three weeks without running, with the longest break being 33 days. It's been an interesting journey, to say the least. Thinking back, there is so much to say, but some things stand out more than others. Highest High: First time I ran 5 km/3.1 miles without walking. Biggest lesson learned: I revisited running because I had started exercising regularly, changed my diet and was working towards a healthier me. No matter how much I disliked it, running burns a lot of calories. To hold myself accountable, I signed up to different races. So, by using running as a weight-loss tool and being motivated by participating in races I made running work for me. Lesson learned, running deserves more than one shot. Giving it another chance (or a third, or a forth) might be the key to the puzzle. Highest High: Finishing my first marathon, California International Marathon, in December 2012. Biggest lesson learned: I lost a lot of weight during my first year of running and I found myself having a much improved body to discover. While exploring the boundaries I soon discovered how running could bring the highest of highs, but it could also bring you right back down. I truly got to understand and learn that running is as much a mental challenge as it is a physical one. Highest High: Running through the empty streets of San Francisco's China Town, one rainy morning, before the daily hustle and bustle. Lowest Low: The swim leg of Silicon Valley International Triathlon. Due to the Californian draught, a controlled lake swim in pleasant temperatures got moved, and turned into a foggy and freezing (56F/13C) ocean swim in Half Moon Bay. Biggest lesson learned: After two years of achieving new heights and discovering new abilities, with the culmination in finishing my first marathon, I was tired. I stopped seeing improvements, I became slower and I had to learn how to be ok with it. But I did learn, that everything has its time and place. I learned that my running would never be sustainable if it was only driven by results. Highest High: My husband's surprise during Chicago Marathon. Unbeknown to me, my husband had asked some friends and family members to record short messages. These messages were then added to my playlist and throughout the race I was surprised by the voices and encouraging words from people who cared for me. The messages had me smiling, crying, laughing and snorting out loud. The support was overwhelming and it was the most thoughtful and heartwarming gift. 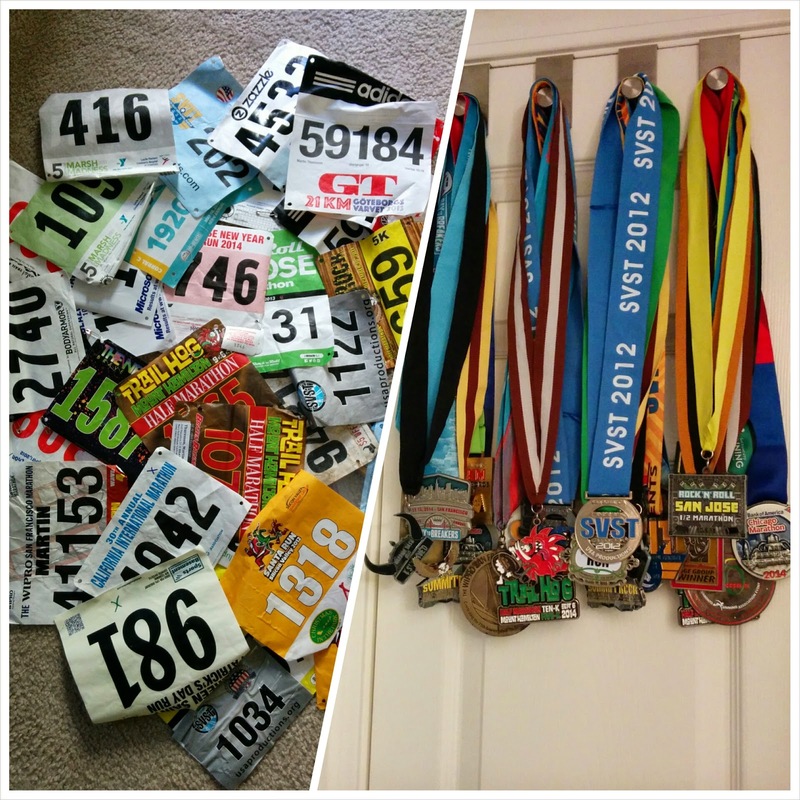 Lowest Low: Underestimating a trail half-marathon. To mix things up during marathon training, my husband and I decided to run a trail half. Having run longer than 13.1 miles/ 21 km several times in training, I got cocky. Too hot and too steep became a miserable reminder that under any circumstance, one should always respect the distance! Biggest lesson learned: Running is truly an exercise in patience. After four years, I finally feel at peace with my running. I don't necessarily love it, but I wouldn't want to be without it. Lesson learned, running can be a sport and a challenge, but it can also be a comfort and a companion.